1. As a reader, I often want to purchase a lot of books. Since I'm not independently wealthy, I've had to find other ways to support the authors I enjoy. Inky Girl gives some great tips on how you can help your favorite authors. 2. Are you struggling with writing? Chad Allen quotes Nemo: "Just keep swimming." Discover 5 Scientifically Verified Benefits to Writing. 3. Christian Headlines reports on a bill passed by Kentucky to protect religious expression in public schools. 4. Dr. MaryAnn Diorio talks about how to make change our ally. 5. 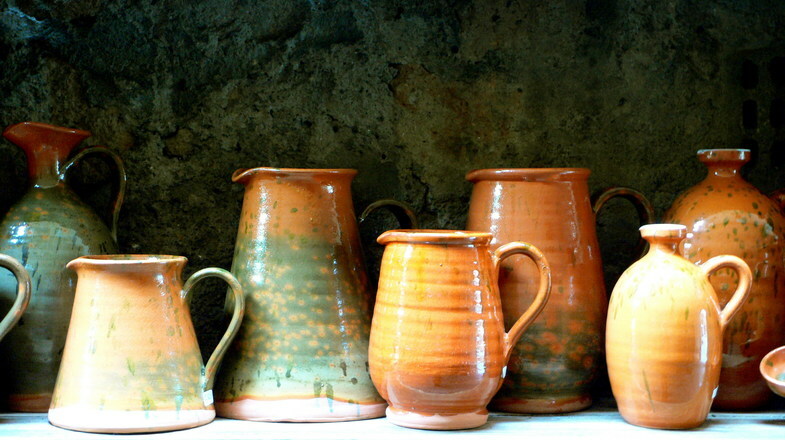 Do you like pottery? You might be amazed at the items Linda, at A La Carte, found. One of these days I'm going to take a pottery class. There's something about fashioning a plate, vase, or mug that appeals to me. Writers and Readers: Does change make your insides quiver or are you a natural-born risk taker? Why?